- 18 carat, 1micron gold plated on 925 sterling silver. 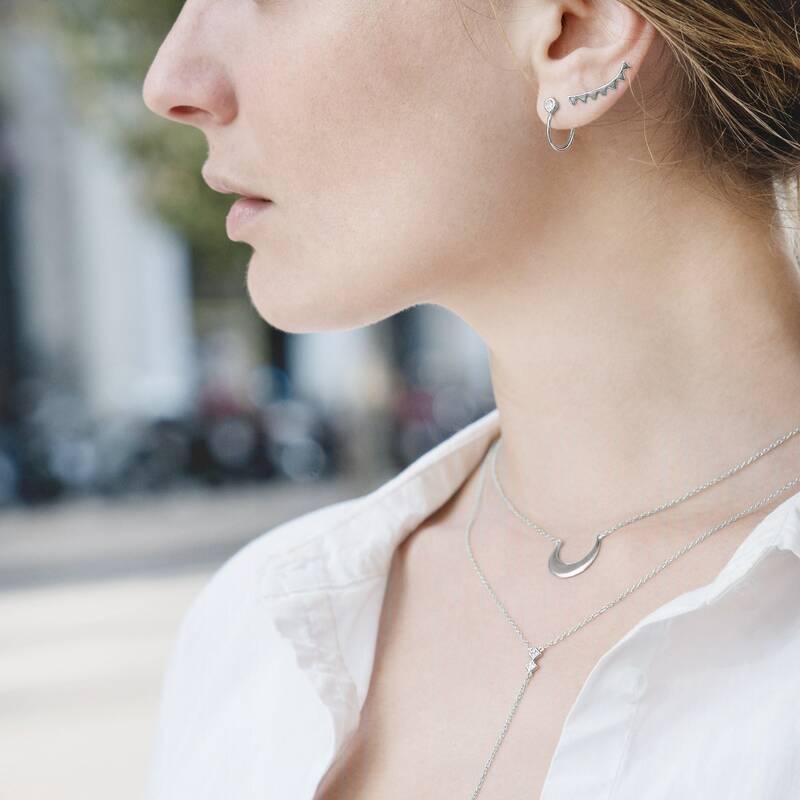 - This necklace is inspired by creating in one single piece the layering effect. 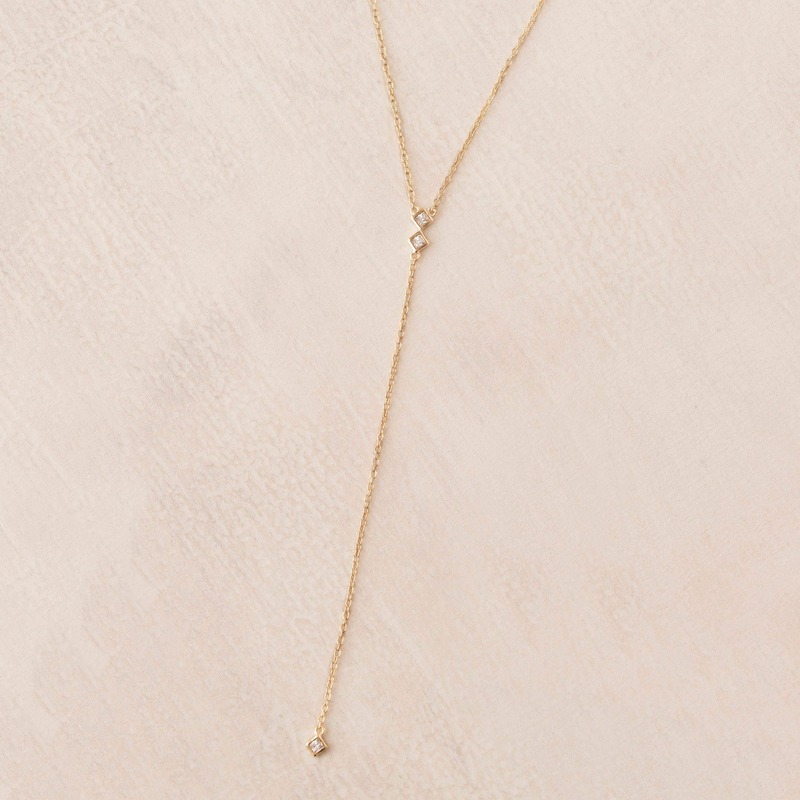 - But if you wish you can match it with other dainty necklaces. 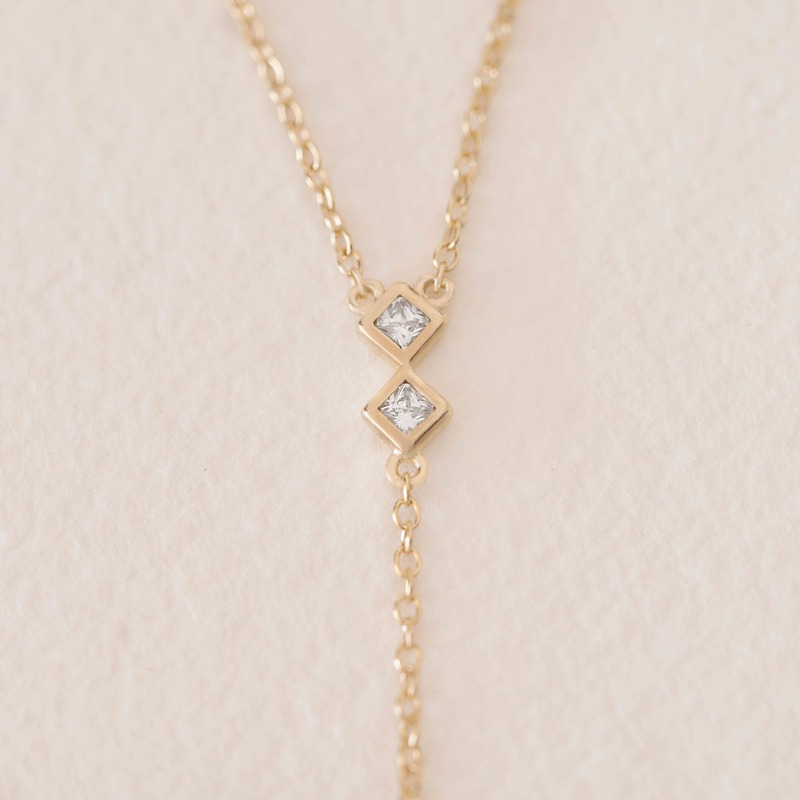 - The perfect delicate necklace which brings you the opportunity of having in only one jewel the effect of 2 different necklaces for women. 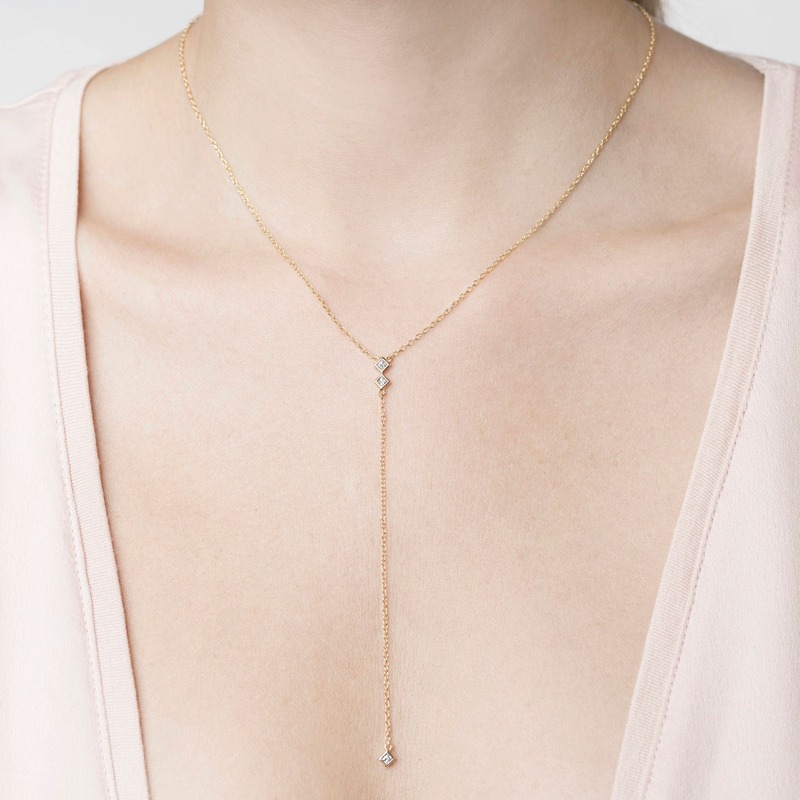 - Two tiny diamond shaped are the meaning piece of this minimalist Y drop necklace for women.